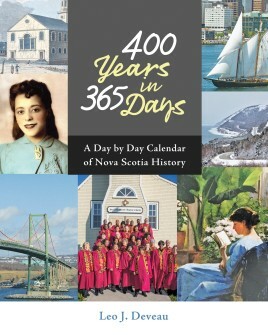 400 Years in 365 Days gives readers a fun, trivia-filled record which reflects the communities and peoples of Nova Scotia spanning the past 400+ years. Leo Deveau has assembled over a thousand entries that reflect events in the lives and histories of virtually every settlement and group in the province, covering a range of interests from military history to arts and sports. 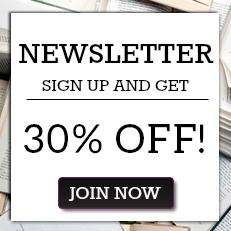 Illustrating the entries are 300+ visuals including full colour paintings, drawings, photos, and archival objects. This informative, entertaining and illuminating volume is a great reference book and a great gift for anyone interested in Nova Scotia's colourful past and lively present. LEO J. DEVEAU is an independent librarian-researcher-writer focused on Nova Scotia history, culture and politics. He is a member of the Writers Federation of Nova Scotia, the Atlantic Provinces Library Association, the Nova Scotia Library Association, and the Halifax Military Heritage Preservation Society. On the occasion of the 150th anniversary of Confederation Leo decided to compile an updated, revised and extended version of a volume originated in 1979 by Shirley Elliot, published then as the Nova Scotia Book of Days. He lives in Halifax. LEO J. DEVEAU is an independent librarian-researcher-writer focused on Nova Scotia history, culture and politics. He is a member of the Writers' Federation of Nova Scotia, the Atlantic Provinces Library Association, the Nova Scotia Library Association, and the Halifax Military Heritage Preservation Society. On the occasion of the 150th anniversary of Confederation Leo decided to compile an updated, revised and extended version of a volume originated in 1979 by Shirley Elliot, published then as the Nova Scotia Book of Days. He lives in Halifax.